La Fiesta starring Son Yambu and DJ Paulo Fernandez (eclectic dance music from around the globe). Red Hot Rhythms straight from the streets of Santiago de Cuba. If you like the Buena Vista Social Club then this is the Salsa dance event for you. Resistance is useless! Feel the music singing in your veins, teasing your toes and whipping your hips into an involuntary wiggle. Yes, Son Yambu have arrived, with their authentic Cuban soul and intoxicating fusion of Spanish and African rhythms. 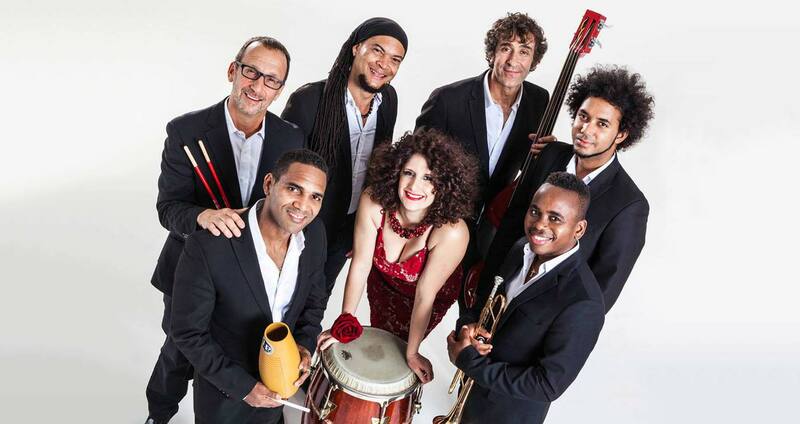 Son Yambu features a new generation of Cuban musicians who are all passionate about maintaining the traditions of the genre, continuing the Buena Vista legacy that put Cuban music back on the map in 1997. They give this music a contemporary edge, bringing their audiences a truly sensational, authentic Latin experience. Tickets available online in advance for £8 a ticket (small handling fee of 50p per transaction, not per ticket). If the event does not sell out in advance, tickets will be available for £10 on the door. We’re hoping to hold a free salsa dance workshop before the event – more details to follow! Absolutely tremendous... if you don’t start to move to this, there is no hope for you!